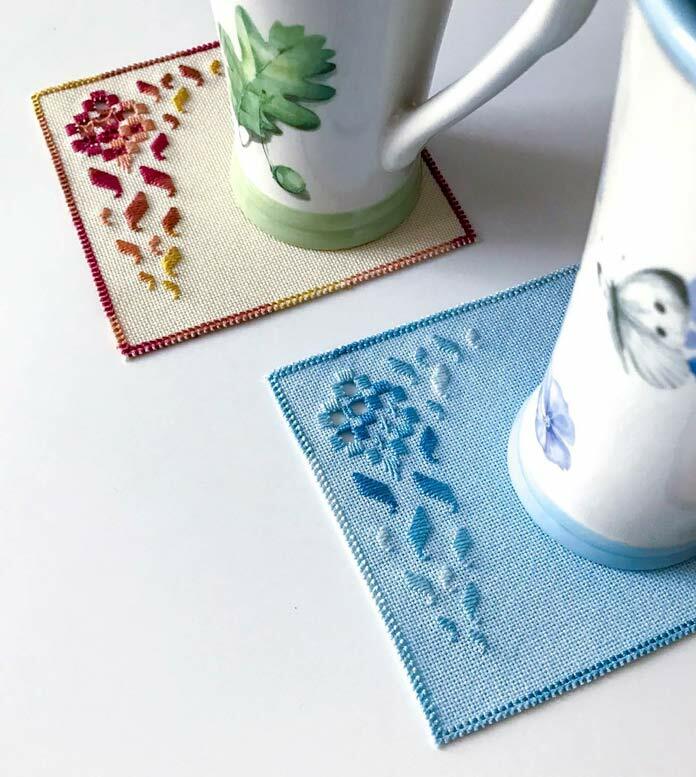 Mug rugs do more than just protect your coffee table from drips and spills. They are an addition to your home décor that can change with the seasons and even according to your moods. I love playing with colour and design when stitching mug rugs. These 2 mug rugs are the same design with a few variations. One is stitched in rainy day blues and the other in a lively colour for those who feel invigorated by cool refreshing rain. Stitch several to have on hand for enjoying an animated conversation with a friend over a cup of coffee, or spending a quiet afternoon reading a book. You’ll have a mug rug on hand to suit your mood.